The title should sound familiar to you – Coin Dozer Pirates is indeed a new sequel to Game Circus’ popular casino game Coin Dozer. This new title is described as the “most addictive arcade coin pusher on the seven seas,” which is actually a takeoff on what the series is all about, namely pushing coins and earning as much of those coins as possible. 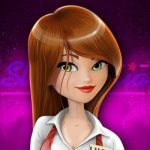 “Play like a pirate and spin the casino style slot machine to win hoards [sic] of booty,” says Game Circus. 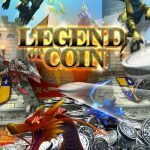 The company also says ion the game description that you can use tools such as the coin cannon to “put some coins into your virtual pockets,” and quick. 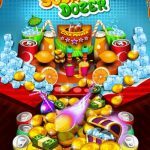 If you enjoyed Coin Dozer, which is still a huge success three years after it had first debuted, you may want to read this. You may also want to push forward if you’re new to the series, as this game, simple as it sounds, requires a lot of strategy. 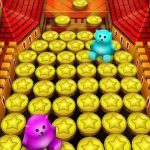 So let’s not take up much more of your time and get on with our Coin Dozer Pirates tips, tricks and strategy guide. There’s a certain sweet spot you have to hit when dropping coins, and that’s dropping them in a line of three or four. You don’t want to drop coins in a line of five, as those coins wouldn’t fit on the top part of the board; your coins will only clash with each other, thus putting your efforts to waste. Alternately, you can drop all your coins in the middle and stack them one on top of the other, doing so until they begin to fall together. This is a good strategy to use if you’d rather use up all the coins you currently have, in hopes of setting up a ton of coins for yourself later on. You can go to your iPhone or Android phone’s settings and tweak things a bit, or tweak them a lot. Just set your phone or tablet’s time ahead by nine minutes per coin you wish to have regenerated. If you’re actually playing the game, coins will take thirty seconds to regenerate automatically, and if you’re in bed, at work, at school, or anywhere else where you can’t play, it will take nine minutes. 4. The Coin Blast Meter Mechanic – What About It? Like in the original Coin Dozer title, the coins you drop down the front will be added to your coin blast meter. And once the meter is already filled up, a big coin will drop down and knock some of the coins forward, or alternately off the end. Try your best to fill up that meter and you may be able to benefit big-time. For each time you knock a prize off the front portion of the titular Coin Dozer, you’ll be able to add that prize to your collection. And if you’re able to complete four prizes in a collection, that’s going to give you a boost or a power-up. For example, coin walls may last a bit longer than they normally do, or some of the coins dropped may be converted into silver coins. Make sure you’re completing the coin offers so you can acquire all of the available trophies. If you’re new to the Coin Dozer series, this would entail collecting prizes of four different colors. There’s a menu in Coin Dozer Pirates that would allow you to earn free coins (standard currency) or free gems (premium currency). Head there and you’ll have a slew of offers from Tapjoy, some which would involve watching videos for free. Other times, they might ask you to play a browser game (which often tend to be near impossible), or they may ask you to sign up for something for free, which may or may not involve you submitting credit card information. It can be frustrating to earn coins and/or gems this way, but it does work quite well. What do wall coins, or coin walls do? These coins launch a temporary wall that appears on both sides of the platform. This prevents coins and prizes from falling off to the sides, though the wall is only up for a few seconds’ time. We would advise you to drop the wall coin only when you’ve got enough on you. And while the wall is up, you can drop coins on the platform so more coins/prizes can be pushed on the edge. What are the gems used for??? ?